Race meets road in the Dainese Delta Pro C2 Perforated Leather Pants. 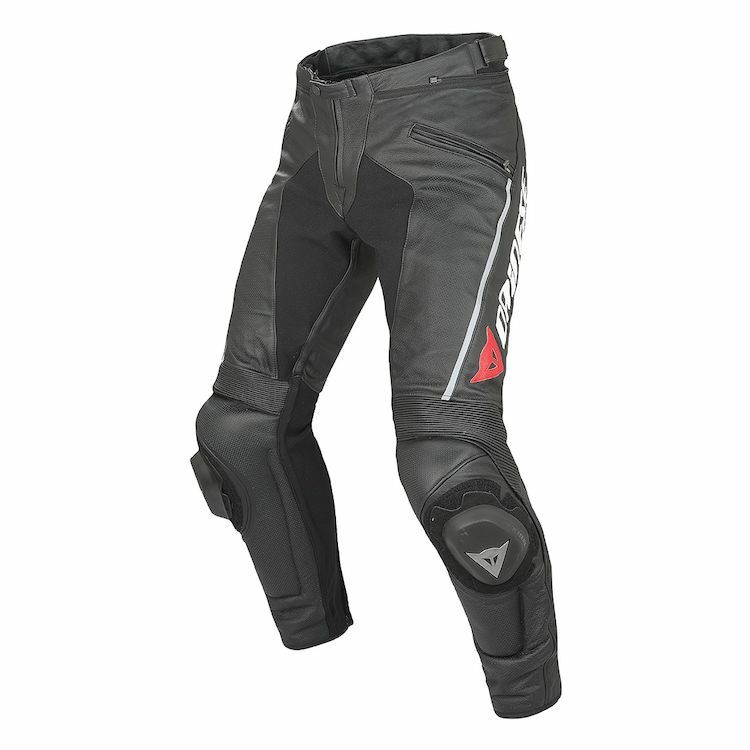 Ergonomically designed to help riders push the limits of themselves and their machines, these race pants are completely constructed of super tough Tutu cowhide leather. intertwined with S1 stretch fabric and elasticated inserts to provide a form hugging dynamic fit. Composite and Pro Shape protectors are standard and boost safety to CE category II. A waist connection zipper is standard so that you can connect the Delta Pro C2 Pants to your favorite Dainese leather jacket and hit the track or your favorite set of twisties for some knee down fun.